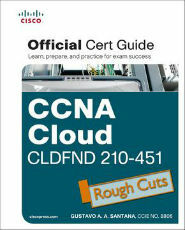 This exam tests a candidate’s knowledge of Cloud characteristics and deployment models including Cisco InterCloud; the basics of Cisco Cloud infrastructure i.e. Unified Compute including Cisco UCS and server virtualization, Unified Fabric including DC network architecture and infrastructure virtualization, and Unified Storage including integrated infrastructure solutions. What is included with the Understanding Cisco Cloud Fundamentals Course?